Trent Wotherspoon has announced he is running for leadership of the NDP, two months after he resigned as interim leader. Regina Rosemont MLA Trent Wotherspoon has announced he will seek permanent leadership of the Saskatchewan New Democrats. 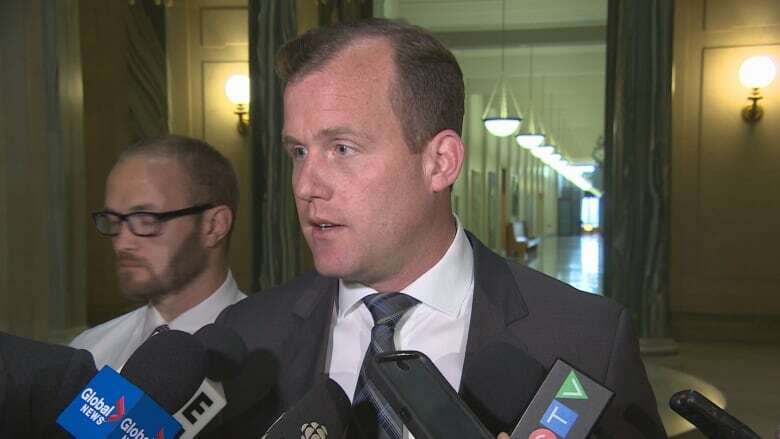 "I'm motivated about what we can build in this province, and I'm not going to stand by and watch our province be dismantled," said Wotherspoon to media Wednesday morning. When he originally took on the role as interim leader after the provincial election in 2016, Wotherspoon repeatedly said he had no intention of running for permanent leadership. Because of this, the Saskatchewan Party is accusing Wotherspoon of being untruthful. "I'm motivated for all the right reasons to go at this. The Sask. Party can make whatever noise they want," he said. "This is a Sask Party that's forgotten who they're working for, that's lied to Saskatchewan people on front after front, from our Crowns through to our finances." Wotherspoon said he looks forward to continuing to build relationships and unite a progressive force to earn back the trust to serve the people of Saskatchewan. The NDP will choose their provincial leader next May.